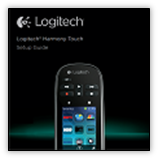 Looking for help setting up your Harmony Touch? We recommend visiting our getting started page. 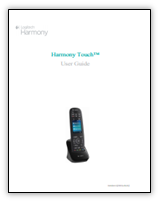 An overview of the Harmony remote, with quick steps and tips to get started. An explanation of the product components, how it works, a walkthrough of the setup flow, and troubleshooting tips.